Hatchery Planning Company offers a complete system design service which includes the compressor, refrigerated air dryer, after cooler unit, filters, etc. 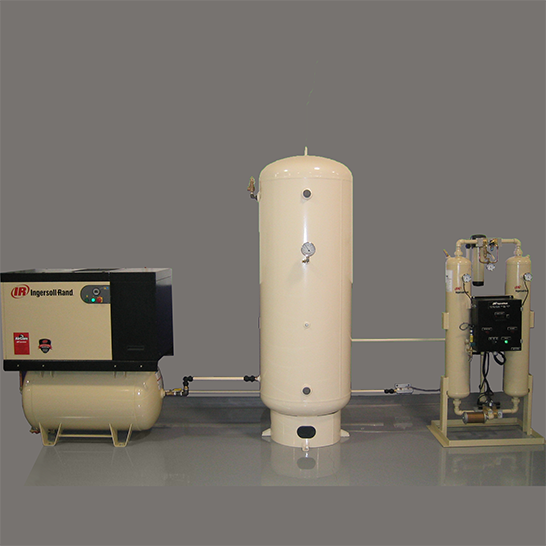 The Ingersoll Rand compressor units are ideal for the hatchery industry. Many Ingersoll Rand air compressors come with a five-year parts and labor warranty. Available in 5-50 HP and 17-230 CFM, as well as rotary or reciprocating style. All our boilers feature rugged all bronze headers, finned copper heat exchangers, stainless steel burners and a slide out burner tray for ease of service. 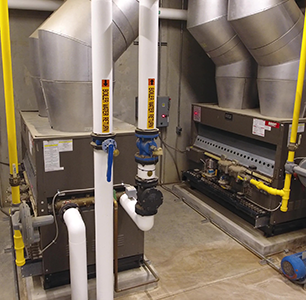 We offer a complete system design service that can include the boiler for hot water supply, expansion tank, air vent system, boiler loop circulation pumps, and plate and frame heat exchangers for different temperature loops. Each chilled water system is custom designed to meet each hatchery's need. 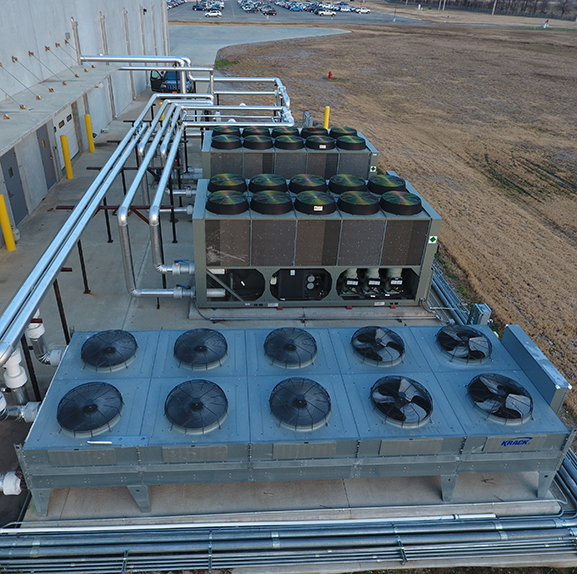 Hatchery Planning offers the full line of Trane air cooled liquid chillers. The compressors come with a manufacturer five-year warranty and first year labor warranty as standard. 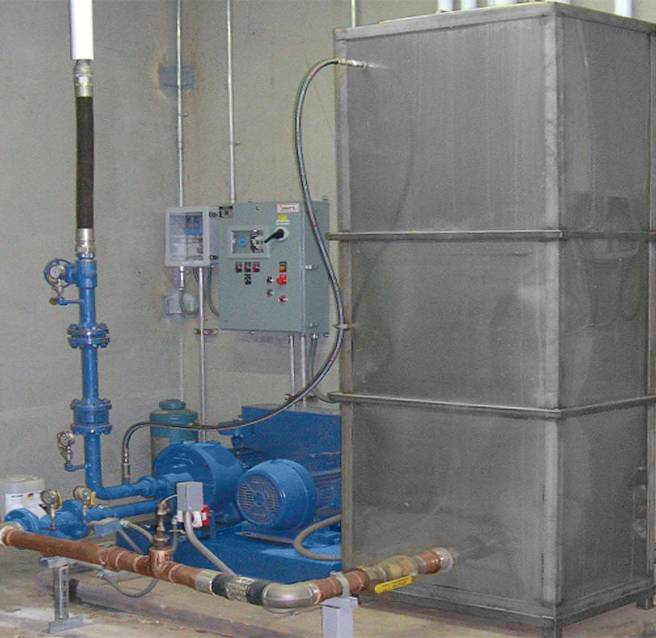 Hatchery Planning Company provides a complete system design service which includes the chilled water unit, chilled water and process loop pumps, and controls. Loop pressure control and VFD interface provides consistent loop pressure at all times. Double walled stainless steel buffer tanks are included with system. VFD driver pumps utilize only the power required resulting in significant KW savings. The Hatchery Planning High Pressure Washer is designed to operate four or more guns simultaneously. The unit incorporates a severe duty pump system designed for many years of operation. Hatchery Planning offers a complete custom design service which includes installation details, pipe sizing, and wiring requirements. Belt or direct drive systems with VFD control. Double walled stainless steel tank with copper loop heat exchanger provides consistent hot water to pump inlet. NEMA 4X control cabinet with tank temperature control. 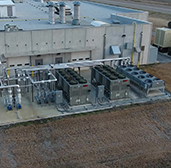 Closed-loop fluid cooling systems help reduce maintenance and operational costs by reducing process load, decreasing electrical consumption, and saving utility costs. Fluid coolers pre-chill the water returning to industrial chillers, greatly increasing the efficiency. The addition of a fluid cooler will increase winter heat recovery and create an environmentally friendly and cost-effective hatchery. The MPC is a single location touch screen operated control for regulating and monitoring a hatchery’s chiller, boiler, and fluid cooler loops. It can also be integrated into the HatchNet software to be monitored and controlled remotely via a PC. 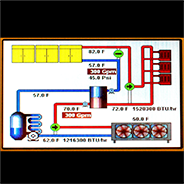 The Mechanical Plant Controller monitors the chiller process loop, regulating both the flow and the pressure. It can also control the heat recovery swap to reuse the warmer water coming from the machines to preheat the air coming into HVAC units, making the rooftop units more efficient and saving energy costs. The MPC also controls the fluid cooler to precool the water using outside air to increase the chillers efficiency.